Get Americas brings you for a journey to discovery the wonders of nature in this unique national park. You will be amazed by its huge geysers. The most famous is the “Old Faithful”, spitting every 90 minutes. 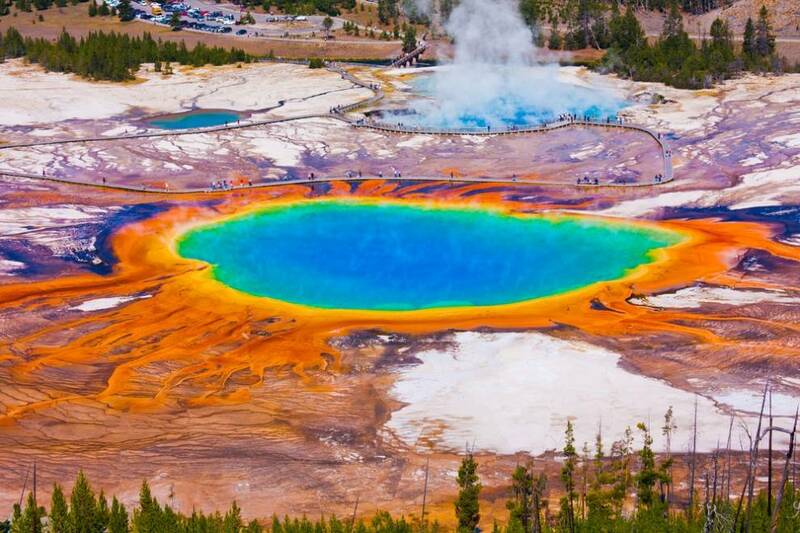 You will also see the unmissable “Grand Prismatic Spring, one of the largest hot spring in the United States, boiling over 70 degrees. Equally as famous as its geysers, the wildlife of Yellowstone is abundant and worth a visit. Stroll through the park early in the morning or at nightfall to catch a glimpse of the park’s inhabitants. Yellowstone shelter one of the largest temperate ecosystems still intact in the world, and therefore a unique natural diversity. Its vegetation is typical of the Rocky Mountains, with over 1,000 native plant species, 9 different conifers, and 3 species endemic. Many activities are offered to you, with hikes accessible by any means, on foot, by bicycle, scooter or rollerblade, browse these 2,5 km in your way. 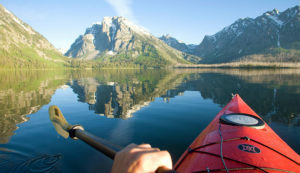 The Yellowstone offers the possibility to many activities, including camping or even horseback riding. During winter, the park is covered with snow, you can put on your skis or snowshoes, according to your preference and roam the Yellowstone National Park.